So we saw this picture on Pinterest and we immediately loved Selena's hairstyle! Found the original picture here. We decided we had to have this hair- in our own version of course. A few things before we start...obviously this tutorial doesn't make you look like Selena Gomez. This tutorial was just inspired by her hairstyle in these pictures. And if you have shorter hair- unfortunately, this isn't really going to work on your hair. 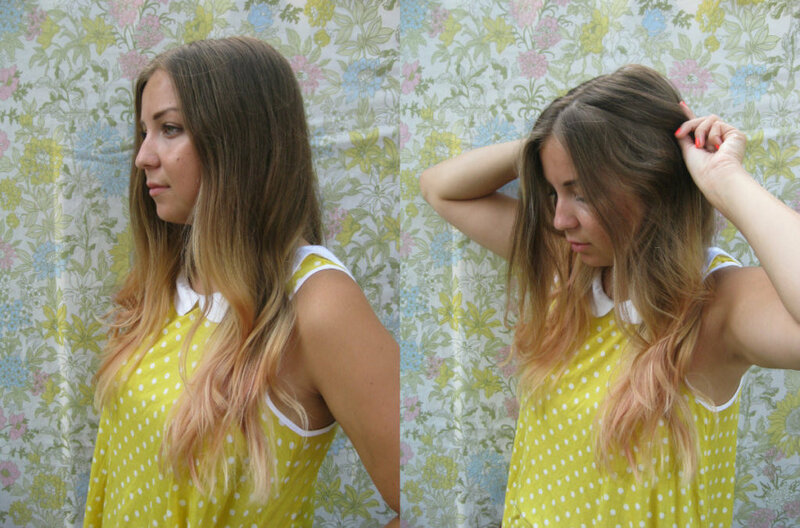 Start with wavy hair parted down the middle. Make your hair as wavy or un-wavy as you'd like. 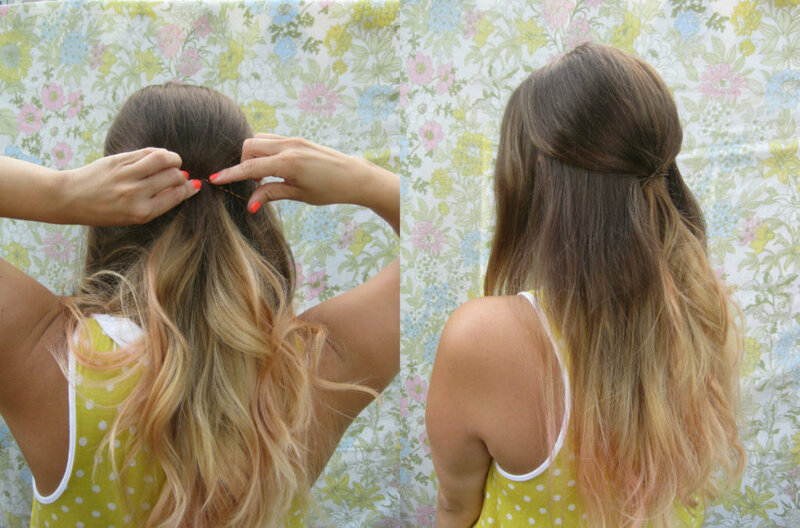 To see an easy way to create waves in your hair, go here. Pull your hair half-up leaving the front parts down for braiding. Pin the hair back with some bobby pins. 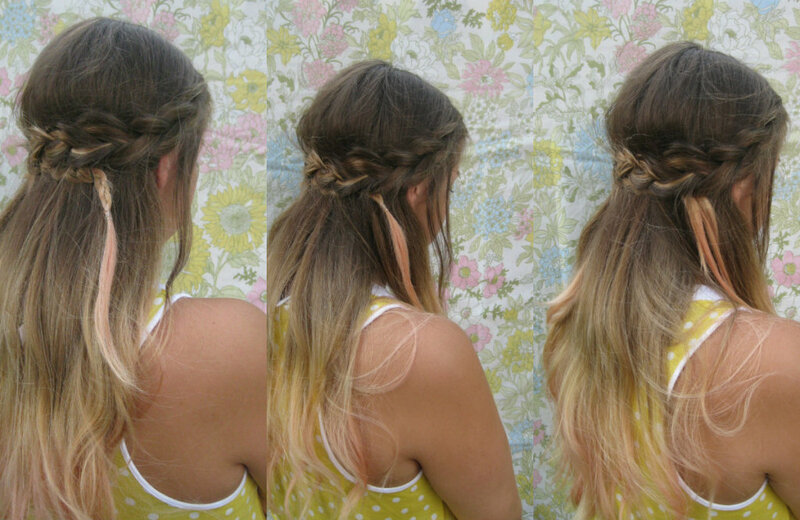 French braid the front pieces of your hair "inside-out" style, or backwards. Stop adding hair to the braid when you reach your ear, then finish braiding all the way down and then secure with a clear elastic. Loosen the braids a good amount. Loosen them so that you've almost made the braid flat. Wrap one of the braids around your hair and pin into place. 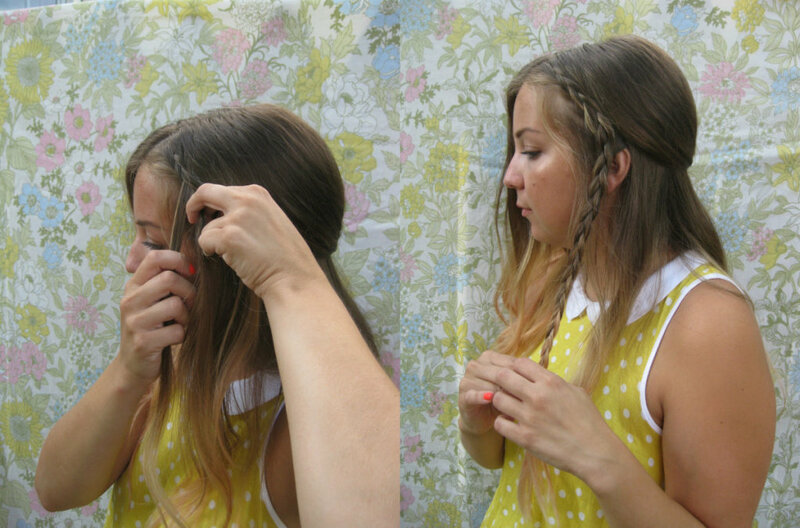 Wrap the other braid around your head in the other direction and over top the other braid. Tuck the end of the top braid under the bottom braid. You will need to go back and tuck the bottom braid under the top one again. Use bobby pins where needed. Once the braids are secured, you can take out the clear elastics holding the braids in. Done! 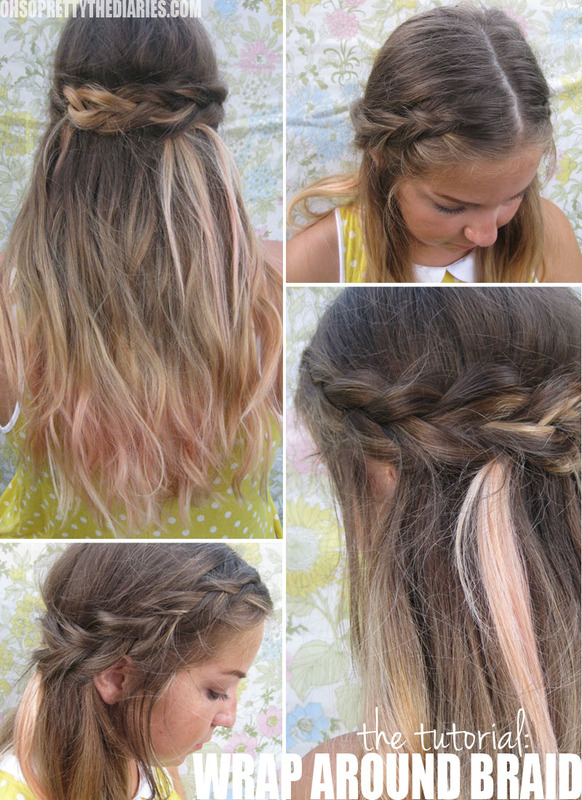 You should definitely do this hairstyle with dirty hair. Everything will hold much better! Super cute, I want my hair to grow long!!! So cute! I'm jealous that my hair isn't quite long enough for this sort of style. 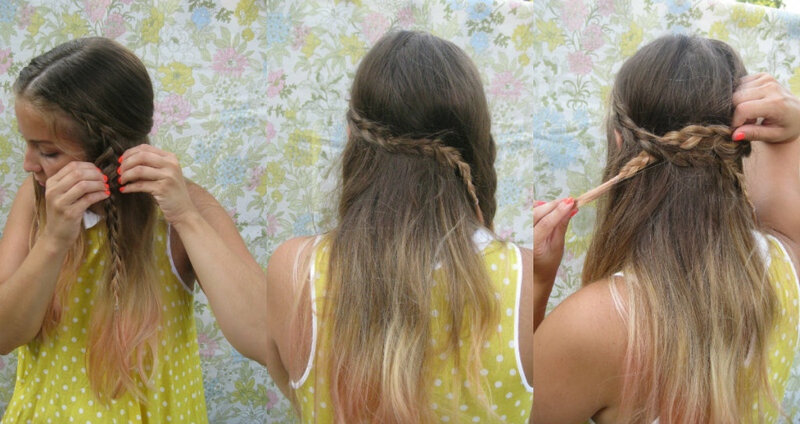 If you put a bit of styling paste or wax in the hair that you're going to braid you won't need second-day hair. I like Redken's rough paste, a little goes a LONG way! My 9yr old has requested this as her first day of school do. Thanks for the tutorial! oh i adore your light tips & pink dip!!! Nice Hair style, This gives us some great inspiration for a future hair style of our own! Great post, thanks again! I love this! Also, I'm obsessed with this top. Do you remember where you got it? ?